If you ask a pair or group of sisters any question, you will quickly get the real deal on any given subject. This is what I love about them, well, that and you can feel like one at any moment…you can feel sisterhood. 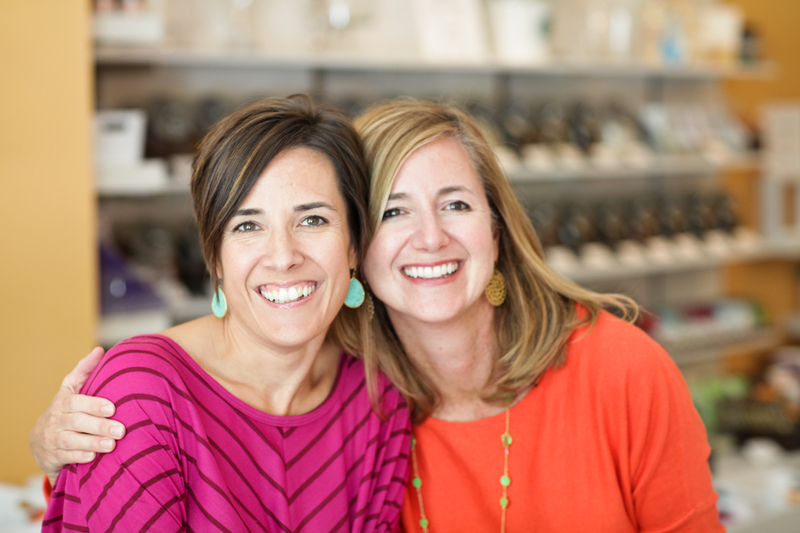 Chrissy and Sarah (who are actual sisters) from Sweet Spot in Short Pump are these kind of friends. I think this must be why their candy shop feels more like a hang out…a super yummy hangout. They are funny, sweet and kind. 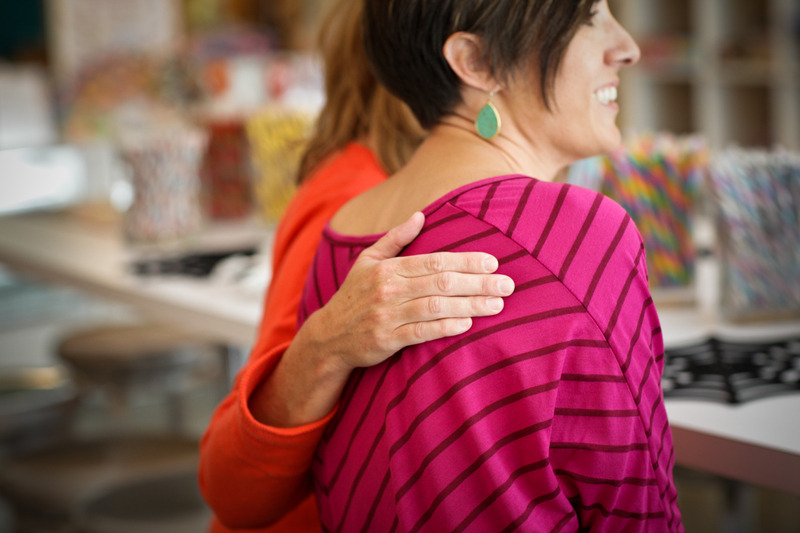 There are little pockets of their killer style and friendship all over the shop but I was even more drawn to their sense of community and desire to use their space for something good. I think this little shop will be a haven for kindness. It’s the kind of togetherness that you have to live first, and then hold the space for others to experience. When they contacted me about wanting to do a kindness project for Sweetest Day (celebrated officially on 10/20), I was so jazzed. The ideas flowed and I think there will be more to come but we thought inviting some kindness magic was a really great place to start. Especially since Sarah’s daughter Maggie (age 3) found a Magic Wand that my daughter Lyra (age 3) left near the shop one day before we met. 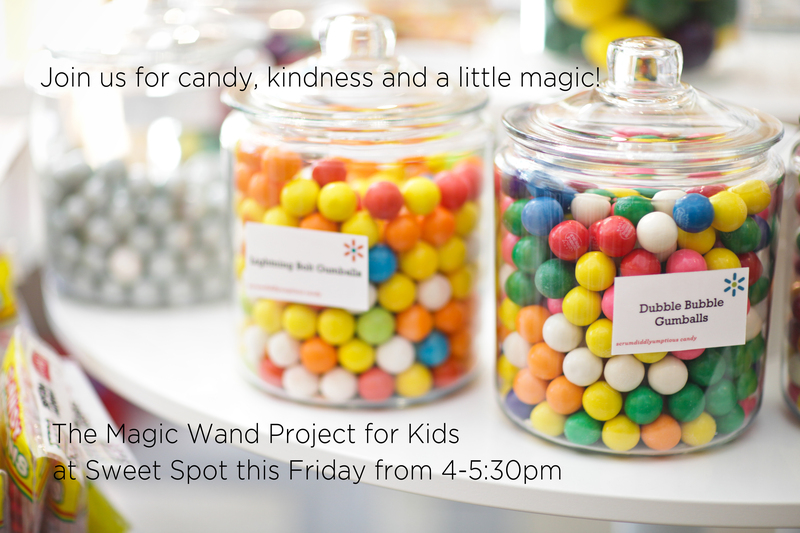 So come join us (and the sisters), bring your kids (and their sisters, brothers too) and hang out with us as we create a little kindness magic together! If you want to learn more about The Magic Wand Project for Kids, you can check it out here. The Magic Wand Project For Kids is a community adventure where kids can discover their kindness magic can change our world!